What’s on your 2018 Reading List? Want to become a better leader? Become an avid reader. Did you know that Bill Gates reads 50 books a year, Mark Cuban reads more than three hours a day, and Warren Buffett has noted that he devotes about 80 percent of each day to read? 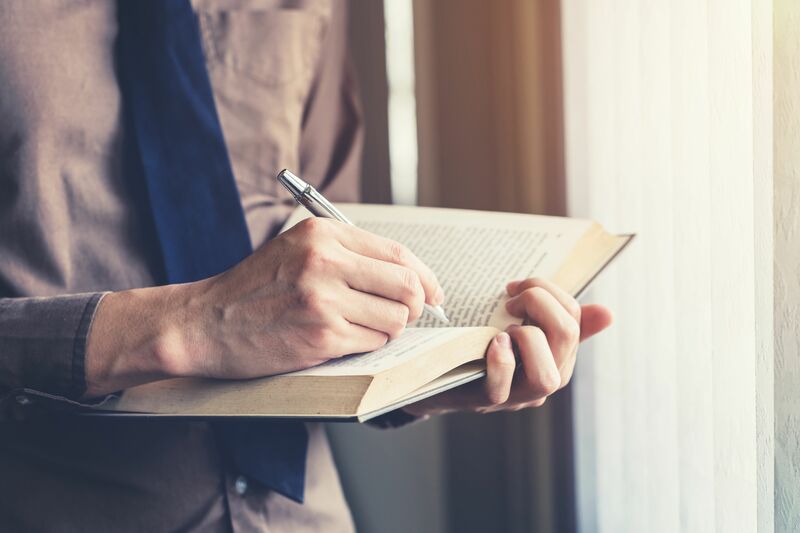 Time and time again, we learn that the most successful people are also fervent bookworms – a common thread that allows them to absorb knowledge, broaden their worldviews and perspectives, and challenge obsolete viewpoints. Isn’t it about time you develop this successful habit as well? In Legacy, best-selling author James Kerr goes deep into the heart of the world's most successful sporting team, the legendary All Blacks of New Zealand, to reveal 15 powerful and practical lessons for leadership and business. Legacy is a unique, inspiring handbook for leaders in all fields, and asks: What are the secrets of success - sustained success? How do you achieve world-class standards, day after day, week after week, year after year? How do you train to win at the highest level? What do you leave behind you after you're gone? New York Times best-selling author, Patrick Lencioni, argues that the seminal difference between successful companies and mediocre ones has little to do with what they know and how smart they are and more to do with how healthy they are. In this book, Lencioni brings together his vast experience and many of the themes cultivated in his other best-selling books and delivers a first: a cohesive and comprehensive exploration of the unique advantage organizational health provides. Are there certain people you cannot seem to communicate with--at home, at work, or in your community? In Law of Connection, Michael J. Losier gives you the key to successful communication. Using the principles of Neuro-Linguistic Programming (NLP), you will soon master the few simple skills needed to create better understanding with people in every aspect of your life. In The 21 Irrefutable Laws of Leadership, John C. Maxwell combines insights learned from his 40-plus years of leadership successes and mistakes with observations from the worlds of business, politics, sports, religion and the military. Whether you are reading this book for the first time or re-reading the revised and updated version, as always, you will walk away with a few golden nuggets of impactful leadership truths. The Compound Effect is based on the principle that decisions shape your destiny. Little, everyday decisions will either take you to the life you desire or to disaster by default. Darren Hardy, publisher of Success Magazine, distills the fundamental principles that have guided the most phenomenal achievements in business, relationships, and beyond. Every business winner has one thing in common: a YES! Attitude that's powerful enough to help them achieve the impossible! When you've got a YES! Attitude, you assume everything will start with "YES!" ...and you'll find a way to "YES!" even when the first, second, and third answer you hear is "NO!" You say you weren't born with a YES! Attitude? Jeffrey Gitomer will give you all the tools you need to build one. The corporate world is filled with executives who have worked hard for years to reach the upper levels of management. They’re intelligent, skilled, and even charismatic. But only a handful of them will ever reach the pinnacle -- and as executive coach Marshall Goldsmith shows in this book, subtle nuances make all the difference. These are small "transactional flaws" performed by one person against another (as simple as not saying thank you enough), which lead to negative perceptions that can hold any executive back. Think and Grow Rich, first published in 1937, took more than twenty years of research to compile. This masterwork identifies thirteen principles that every person should adopt if they are serious about achieving success—all are empirically based in decades of research. Hill has synthesized what wealthy and/or exceptionally successful individuals have in common after interviewing more than five hundred extremely successful people to determine what they owed their vast achievements to. In Scaling Up, Harnish and his team share practical tools and techniques for building an industry-dominating business by focusing on four major decision areas every company must get right: People, Strategy, Execution and Cash. These approaches have been honed from over three decades of advising tens of thousands of CEOs and executives and helping them navigate the increasing complexities that come with scaling up a venture. This book is written so everyone -- from frontline employees to senior executives -- can get aligned in contributing to the growth of a firm. The ONE Thing teaches a simple, powerful concept to focus on what matters most. The book explains how to focus your energy on one thing at a time so you can cut through the clutter, achieve better results in less time, build momentum toward your goal, dial down the stress, and master what matters to you. The ONE Thing delivers extraordinary results in every area of your life--work, personal, family, and spiritual. What books have you read that have shaped you as a leader? Share them with me for a chance to be featured on our social media pages. Happy reading!